Inner fog lamp lens gaskets. Die cut from high quality sponge rubber to original specifications for a factory fit. 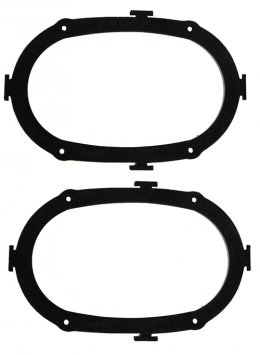 Also order our 06-001S fog light lens gaskets. Sold by the pair. MADE IN THE USA.